Thankfully we live in a time where we can access the Internet from just about anywhere–even in an airplane above the clouds. But that’s not the only technological advancement to make traveling more enjoyable. Below are a few gadgets that will help make your next trip a little smoother. One of the biggest horrors of travel is lost luggage. For those times when you absolutely have to check your bags, consider investing in Trakdot Luggage Tracker. 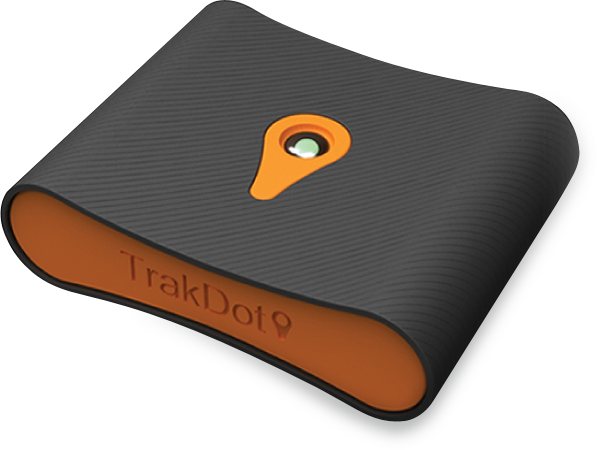 For the cost of the device, plus a yearly subscription fee, the Trakdot uses a microchip to keep track of your luggage. Just put the device in your suitcase and it will send updates to your cell phone, letting you know if you and your belongings end up at different destinations. 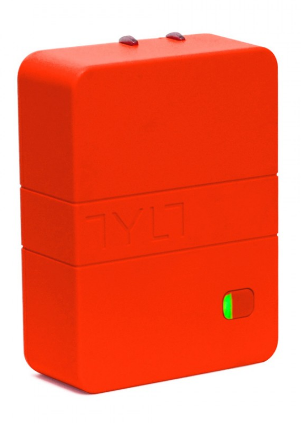 This small, sleek, and brightly colored charger does double duty while you’re traveling. First, plug it into any power source as a typical USB wall charger. Once your device is charged, the battery itself will juice up and serve as a portable power source while you’re on the go. No more desperate searches for available outlets! Accidentally packing too much can be a very expensive mistake. One way to make sure that doesn’t happen is to invest in a digital luggage scale. There are tons of makes and models available at a wide array of price points. They’re small enough to fit in your suitcase, too, so you’ll know just how many souvenirs you can bring home. There are better (and more stylish) ways to keep your important belongings close at hand while you’re traveling. This line of affordable pickpocket-proof clothing, including shirts, underwear, and pants, is full of hidden pockets for your passport, wallet, cell phone, and anything else you don’t want to go missing. The folks at Genius Pack have a plethora of travel solutions to choose from, but this briefcase-sized laptop case is perfect for the busy businessperson on the go. 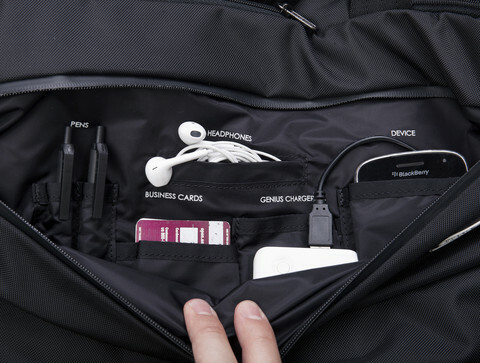 You can integrate the bag with GP battery pack to charge your phone directly from inside, and it has designated spots for your tablet, laptop, umbrella, business cards, pens, headphones, eyeglasses, and a mini speaker. What more could you need?